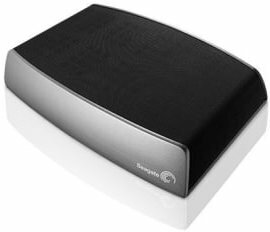 When you opt for buying personal storage, from a broader perspective, a Central storage is the most convenient option as you get your own personal cloud that can be accessed from anywhere and on multiple devices.The Seagate STCG 400030 is a very good central storage as it is less expensive and extremely helpful. The price of Seagate STCG4000300 is INR. 19167. As mentioned, the Seagate STCG4000300 comes with 4TB storage capacity which can be sufficient according to your requirements. The device has the ability to automatically backup storage and it is compatible with Mac and other personal computers. You can use this storage for all your files and it can wirelessly stream gaming consoles, Smart TVs, media players, etc. The Seagate STCG4000300 can also be accessed through a phone or a tablet through an app that is provided by the company. The Seagate STCG4000300 is a really good and convenient storage option over hard disks that can be connected through wires and limited devices at once. Plus having your own cloud storage is always helpful. Seagate STCG4000300 Central Storage 4 TB full specs and reviews as of Apr 2019. Buy it here!